What's the Least Powerful Daily Driver you can Think of? It's confession time: I genuinely don't like powerful cars. Accelerating in a fast car on public roads doesn't take skill, and you can only access 5% of the car's potential without violating the rules of the road. Take for example my dad's 2009 Audi S8: with a 450 hp 5.2 liter Lamborghini V10 under the hood, you can undertake a left-lane hog with even the smallest opening in traffic. Yet, despite that power (and the glorious exhaust note), I don't enjoy driving the S8 that much. I much prefer my 2007 Audi A4 2.0T. Audi claims that it makes full torque (207 lb ft) at just 1800 rpm, but that's not true. The engine really doesn't wake up until about 2200-2500 rpm...and that's a good thing. It means that I have to pay attention to every hill and every curve, and work the gearbox accordingly to maintain speed. 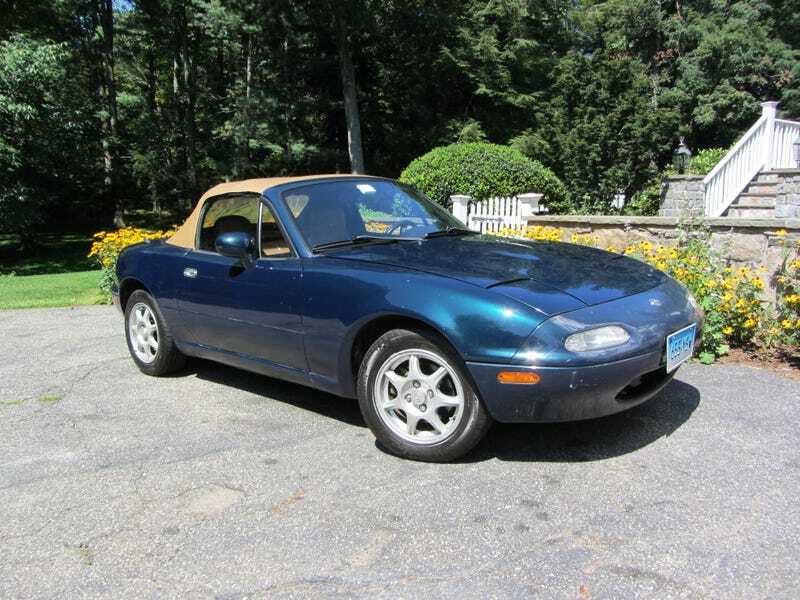 To me, slow cars are way more fun to drive than fast cars, and the most fun car I have driven to date was my first car: a 1995 Mazda Miata (pictured above). Its diminutive 1.8 litre I4 made just 128 horsepower and 110 lb ft, at 6500 and 5000 rpm respectively. In other words, I had to drive it defensively and plan ahead. During highway driving, if I needed to overtake or make it up a steep hill, I had to double de-clutch from 5th to 4th. Honestly, I'd love to own something even slower than the Miata for the sheer danger and lunacy. That's where I need your help, fellow Jalops. What are some of the most underpowered cars you know of? Manual only please.